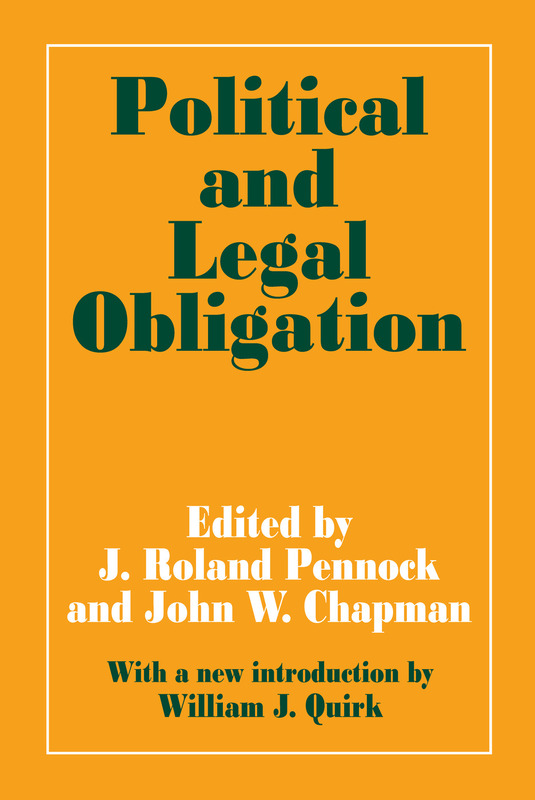 At a point in history marked by dramatic challenges to the existing political and social order, the question of legal and political obligation emerges as a focal point of international concern. Amid the clamor for radical change in the established order, theories of political obligation demand renewed examination. In this volume, eighteen leading specialists in the legal, philosophical, and political science aspects of the question offer their views on this timely topic. Part I examines the nature of moral, legal, and political obligation. The first essay presents a set of definitions that denies the very existence of obligation. While the second essay disagreeing particularly with respect to the relationship of political to moral tenets, and the third discussing the highly complex interplay between law and morality. The following essay approaches obligation as existing in the context of an established political and legal system and stresses the importance of evaluating the negative consequences of challenges to the law as well as those arising from the absence of challenges. The next paper maintains that political obligation is so complex that its very existence depends upon rational deliberation in particular contexts. The fifth, explores four significant theories but accepts only the one based on the broadest definition of obligation. While the final essay in this part considers political obligation a unique and generalized moral obligation.